Hello Easter community! My name is Sarah Lardy and I am a current freshman at the University of Minnesota Twin Cities. This past summer, I was fortunate enough to go on the Arecibo, Puerto Rico mission trip and thought I’d share a way I saw God throughout the week. I have been on five mission trips total, all through YouthWorks, so you could say I’m pretty familiar with the typical daily schedule of a mission trip. In general, days consist of an early morning breakfast, and devotions, then work sites from 9-3 (including lunch), and showers, dinner, and evening activities to fill the rest of the day. On this particular trip, work sites were shortened to 10-2, to allow for more time to experience the culture and community in which we served. My group was sent to the Salvation Army to work with kids, however we learned the morning of day 1 that no kids showed up for kids club. Instead, we would be cleaning and painting the building. Normally, I expect to be working for the solid four hours we’re at the site, with a lunch break sometime in the middle. However, we soon learned that this place was not like that. Miriam, the woman in charge of our projects, often gathered us inside the building and talked to us for hours. She constantly told us to take breaks and slow down. It was a little weird for me to experience this as I was planning on working hard to make a difference; it was odd to just sit. What I didn’t know, is we weren’t just sitting around, we were being exposed to God’s work. We came to learn that Miriam is a strong woman of faith, and she uses that to carry her through each day. She was so grateful we were there to help; it didn’t matter how much we worked, even the smallest amount made her so happy. She spoke to us about how God has a plan for each of us and that it’s important to put our faith in Him. She spoke of how she turned her life to God and followed where he led, and encouraged us to do the same. The people at the Salvation Army even took a morning to pray for us and hold a mini-worship through which they praised God and sang. 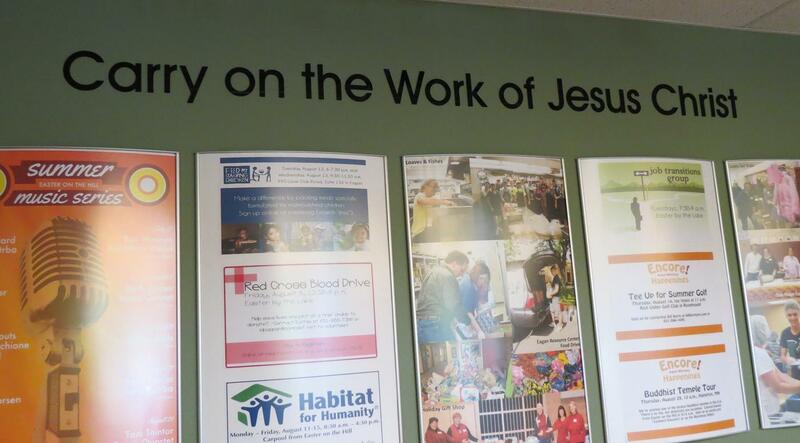 It’s through Miriam, and others at the Salvation Army how I really saw God that hot week in July. One of the biggest things I learned on the trip was not that hard work makes a difference. Work certainly helps, but the connections you can make to others, the conversations and shared laughter, are what really make a difference. One other way I saw God on the trip was simply in the majesty of the ocean. We were able to visit the beach four times during the week, twice to swim and twice to have devotions and hang out. Often, I found myself on the edge of the water, right where the waves lapped at the shoreline. Looking out into the vast expanse of the sea, unable to see any land across the horizon, really made me feel miniscule in this huge world. More importantly, I could feel God’s power over the waves, and it was simply incredible. Overall, mission trips were an integral part of my high school experience, and I’ll never forget the memories made and lessons learned during my weeks away. Change at Easter has been discussed many times but, it still seems appropriate to discuss the beautiful, scary, energizing, grievous, complex, and powerful changes that have happened – and are still happening – at Easter Lutheran Church. 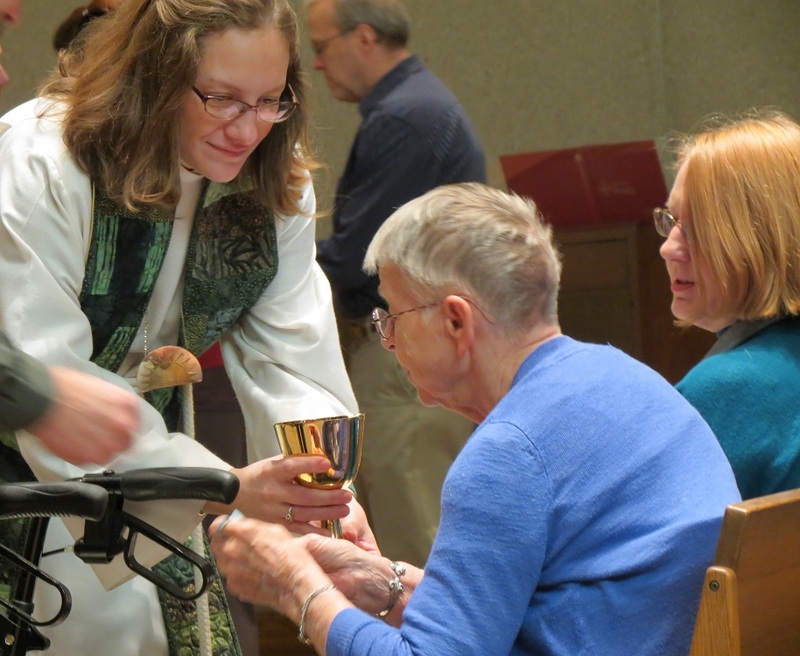 Retirements, new pastoral calls, periods of hard-earned rest, tearful good-byes, and warm welcomes; we have seen them all! Change is seldom easy! Some things cannot be changed. The center square determines what color each side of the cube must be. Everything else about the cube can be changed in endless permutations, but the color of any one face is determined by the center. Inherently optimistic, I assume I can accomplish whatever the organization needs, but I have always been blessed with a few faithful “reality therapists” who make sure we do not waste time and energy trying to do the impossible. You can never change just one thing. The only way to move any square on any face of the cube is to move twelve squares all at once. I may want to move one manager, rewrite one section of the plan, modify one advertising concept, drop one product line, add one new service, or relocate one branch office. But every change has multiple results, planned and otherwise. You have to give up what you have to get what you want. Getting one face of the cube all the same color is not too difficult, but progress beyond that point requires losing part of that beautifully complete face. Most people fail the cube because they cannot destroy the first complete face they achieve. They cling to the lovely but unfinished present and sacrifice the future. As it was read, the images of change at Easter were flashing in my mind with all the progress and complexity. And then a larger question came to mind: does this puzzle toy and the physics that govern it represent our spiritual lives? Are we prepared to uphold our values every day and not allow them to be changed? Do we recognize all the transformations in our lives when we make a change that accepts God? Do we cling to the unfinished present and sacrifice our future in the eyes of God? Dear Lord, help us to see the changes in our lives that would serve you. Guide us to separate those things derived from your word that must not change, from those things that must change in order to accomplish your will. Please help us find the courage to let go of our time, talent, and treasure to serve you and others in need so that we may build a future with you. In Jesus’ name we pray, Amen. You can see it in the stores this time of year. Right next to the multiple aisles of Halloween paraphernalia are a couple rows of Christmas merchandise tucked in for good measure. Just in case, you – just – can’t – wait. And how do you feel about Christmas music? Some people listen to it all year long and just love it. Some reserve it for after Thanksgiving or when the snow starts to fly. At our house Christmas creeps into our lives during the summer. My husband Dan and I direct the Christmas Pageant at Easter Lutheran Church and planning starts early. We talk about the script, the music and what we want to change for this year. I sometimes struggle to get into the Christmas spirit this early but God carries me along when the meetings start. I can hear the Christmas music in my head. By the time October rolls around planning, discussion and emails for the Christmas pageant are in full swing. I have about 10 emails in my inbox right now regarding the pageant and the 5th and 6th graders are starting to turn in their sign-up sheets for speaking parts. I can feel the excitement building and I know that rehearsals will start soon. Dan and I put a lot of time into thinking about how the scenes should look, how certain lines should sound and helping the kids portray the story in meaningful ways. But it’s not just about the performance. It’s not just about what it looks like to the congregation. 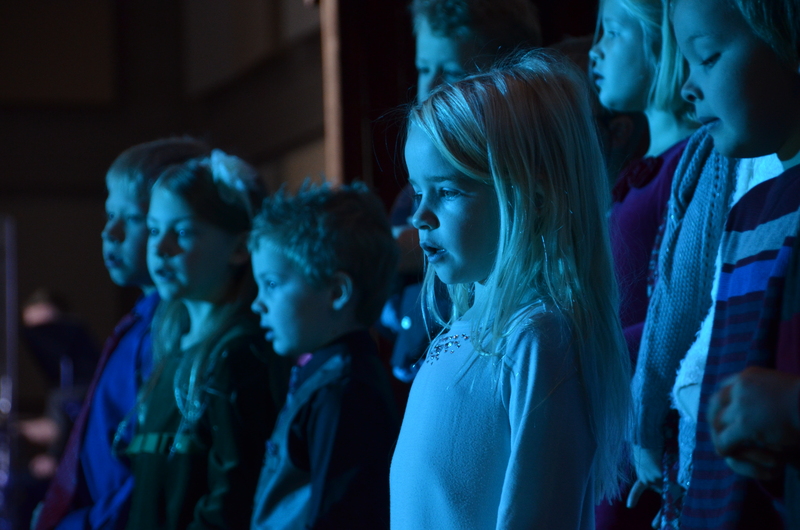 It’s about the kids and what they’re learning about the Christmas story for the first time. It’s about what they’re learning about Jesus for the first time. It’s about the new appreciation they have for Him and the plan of salvation God set into motion when Jesus was born on earth and laid in a lowly manger. So, while the process of getting into the Christmas spirit starts for me in the summer and takes awhile for me to warm up to it’s not the process I’m interested in. This is much like my faith. I want my faith to go beyond the process – go beyond what I’m doing, when I’m going to church, what my life looks like as a Christian. I want to go beyond the process of getting the pageant ready and speak to the hearts of the children in the pageant and the congregation that will see it in December. I don’t want my faith to look like boxes I’m checking off so it looks like I’m getting ready for Jesus. I want both the pageant and my faith life to have heart. I want to love Jesus and reflect Him to others because of what’s on the inside not what people see on the outside. 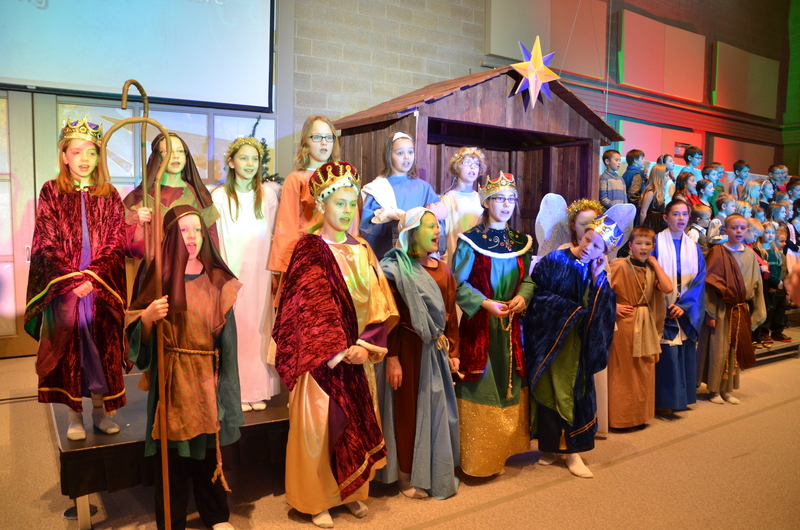 Come to the Christmas pageant on Sunday, December 13th at Easter by the Lake at 9:30 and 11:00am. 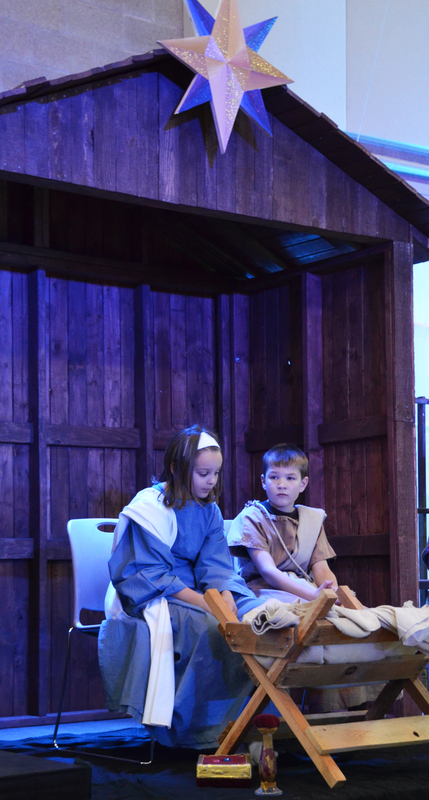 See what God can do in the lives of children and their depiction of His Son’s birth. We hope you leave moved, inspired and maybe even learning something new that you didn’t know before. I’m getting used to Christmas in October. It’s an early reminder of what God has done for me and what He continues to do in the lives of others. 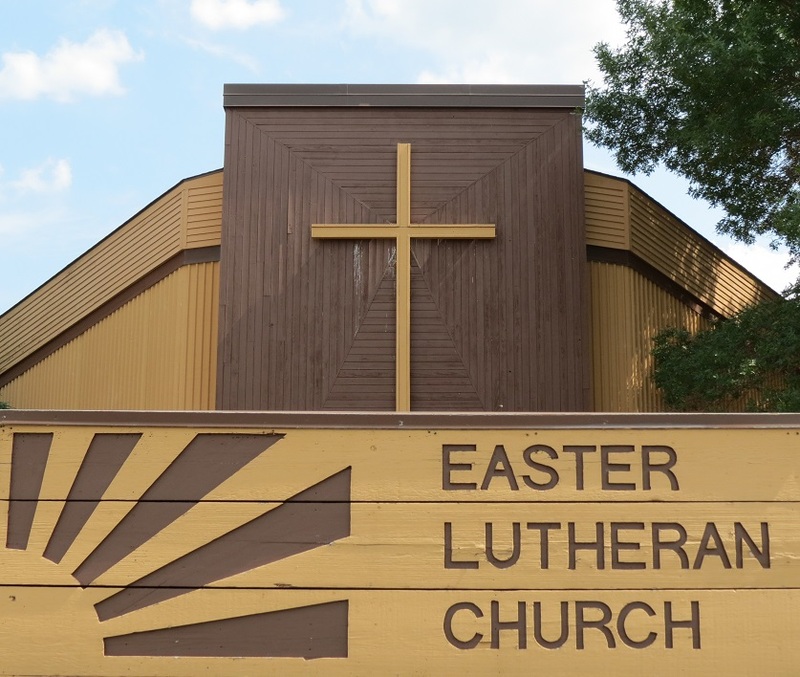 Sara Currell is a member of Easter Lutheran Church. She loves teaching kids the Bible, singing and celebrating Christmas all year long. My wife quilts. She has made each of our sons, and our nieces, quilts when they graduated high school, so they would have something to remind them of home when they went off to college. I was reminded of quilts as my plane took off from the Minot ND airport recently. The farmland around Minot looks like one gigantic quilt; a patchwork of acres put together by farmers. Made by man. But it doesn’t t take me long to remember, and realize, that the beauty of nature comes from God. 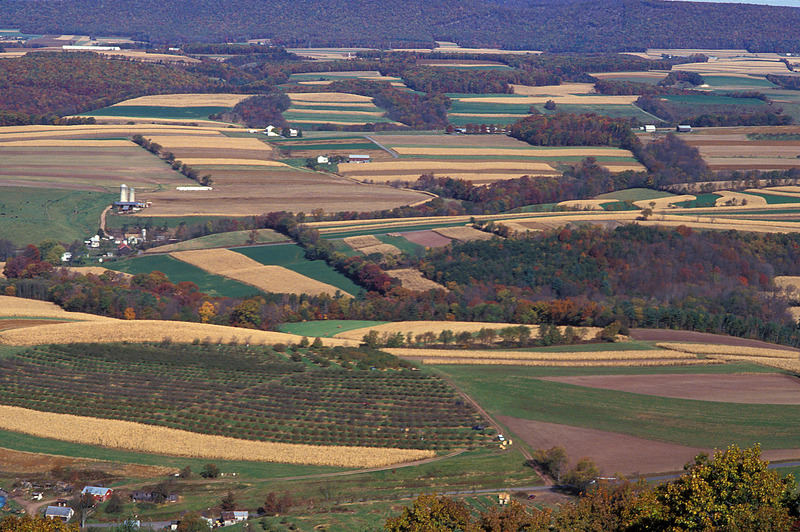 Man tills the land and plants the seeds that grow into crops to feed others. But God created the first seeds. God created rain, and sunlight, without which crops could not grow. Too often we think we accomplished something all by ourselves. We consider ourselves ‘self made’ men and women. But we forget that EVERYTHING comes from the Lord. When I have a crisis of faith (and they do happen periodically), I look at nature, and walk backwards….that tree came from a seed, that God created, watered by rain that God created, nurtured by sunlight that God created….nature’s complexity, for me, is a constant reminder that we are not a random combination of atoms, but the work, the creation, of God. Reminds me, once again, of my favorite bible verse: “Be still and know that I am God” (Psalm 46:10). You only have to pause, be still, and look at nature to be reminded of His presence. Over 8,500 runners completed the Twin Cities Marathon this past weekend. I am in awe of their perseverance. I much prefer shorter runs and anything farther than five kilometers has my body gasping for air and my mind giving up. 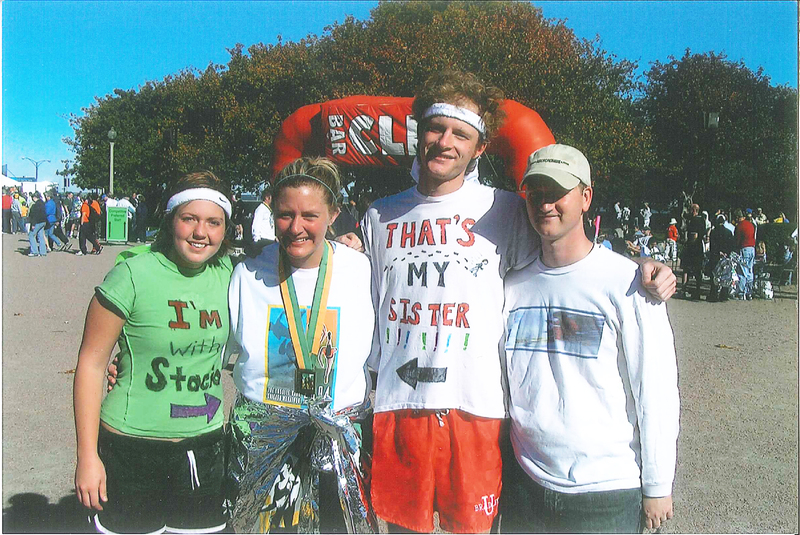 On October 11th, my sister will run the Chicago marathon. My sister is an inspiration. She recently took up the challenge to run the marathon and is, by no means, a distance runner. I say this lovingly, remembering that the last marathon she ran was around ten years ago. However, she set a goal to run and has worked hard in training. I will also mention that in addition to her rigorous training she works far more hours a week than she gets credit for and dashes her two active sons to activities. I’m proud of her beyond words and wish I could be there to see her cross the finish line. Had they stuck it out. Pastor Brandon Newton is executive pastor at Easter Lutheran Church in Eagan, Minnesota. How about just one word: Grace? Do you know ‘Grace’, God’s grace? God’s light shines on us, His love envelops us, even though we have done nothing to earn or deserve it. That’s God’s grace. I can’t remember which of my boys was having a temper tantrum, but It was a full all out screaming, crying, kicking, thrashing tantrum….something had him mad, sad, and furious all at the same time. I remember picking him up and holding him tight. And the crying and screaming went on for awhile. And then the screaming turned to sobs, and finally, exhausted, he lay in my arms. This is how I picture God’s grace with us…through everything we go through, good or bad, in sickness or in health, through all our frustrations, loneliness, through and despite all our sins, His arms are around us as we thrash about in life, holding us tight, restoring us to peace. He is there for us always, even though we have done nothing to deserve Him or His love.